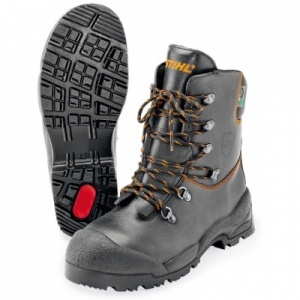 Saw protection boots to keep you safe & comfortable. 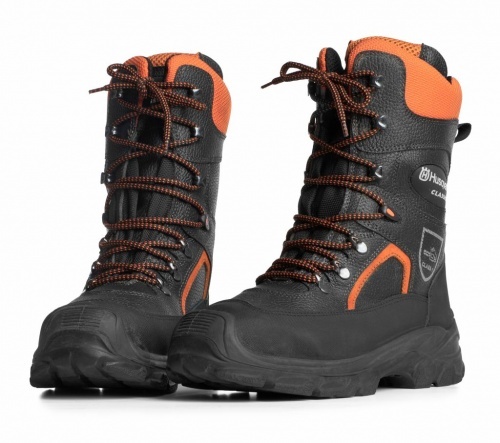 Husqvarna's Classic 20 Protective Leather Boots offer Class 1 (20 m/s) saw protection, as well as being lightweight, comfortable and robust. 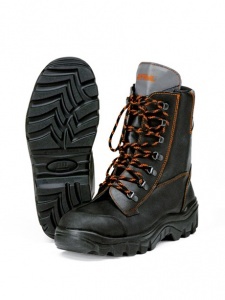 They are primarily made of leather but have microfibre reinforcements with polyester mesh lining, and the lower parts and heel areas also benefit from extra reinforcements to ensure superb resistance to wear. 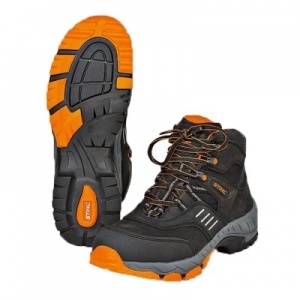 Additional stability is in place to support feet and ankles, and they are easy to keep clean too, thanks to the removable, washable foot beds. 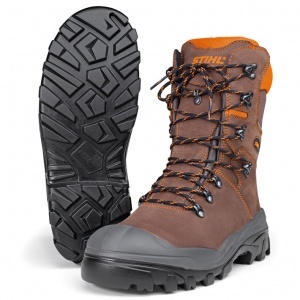 To keep their weight low and comfort high, these protective boots have a composite toe-cap. 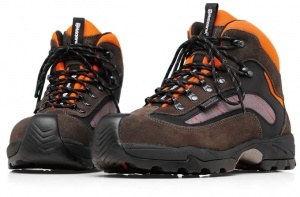 They are 100 percent waterproofed thanks to the use of a leather Sympatex membrane. Note that these boots do not have saw protection. 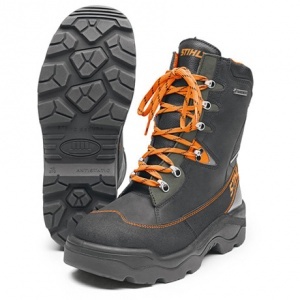 These leather chainsaw boots have upper material made of water-resistant full grain leather, breathable GORE-TEX membrance, high-grip soles, safety reflectors and chainsaw cut protection.